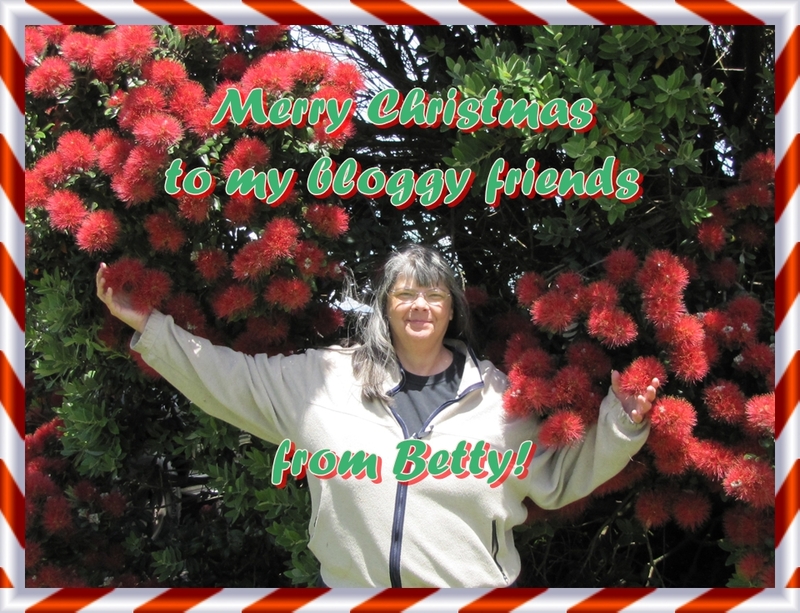 Thank you for another great year of blogging! me in a pohutukawa tree! And a very Merry Christmas to you, family, and friends! Merry Christmas, what a wonderful tree!!! Merry Christmas to you as well:) Great picture! Merry Christmas and wishing you and your hubby all the best in 2014! Hi there Betty, It's bloggy friend Wren here - just look at you looking so pretty in that PPPPP (however you spell it) tree! You are a day ahead of us here on Whidbey Island USA, already enjoying your Christmas Celebration. Have a wonderful Christmas. Wishing you also a relaxing and enjoyable festive season. And a wonderful new year! Hi Betty, Happy New Year to you!